mixed sprouts usal recipe - easy recipe of usal made with mixed sprouts, onions, tomatoes and spices. 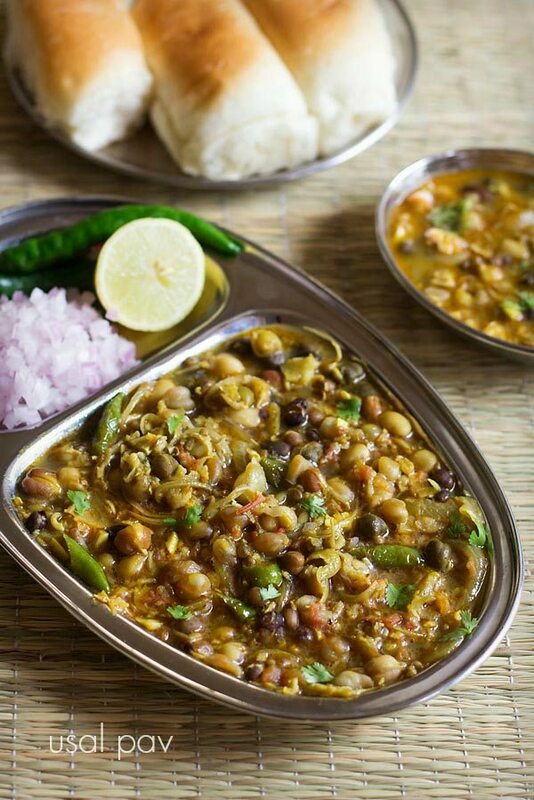 mixed sprouts usal recipe with step by step photos – usal is a legume based curry from the maharashtrian cuisine. 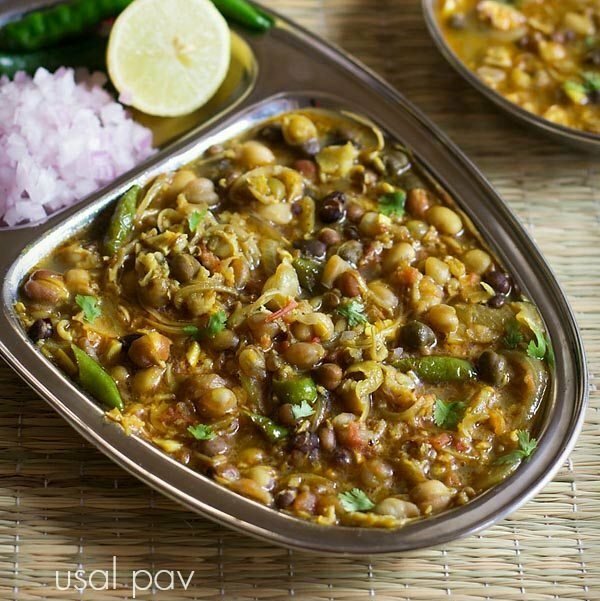 there are many variations to make usal and this is one such variation. 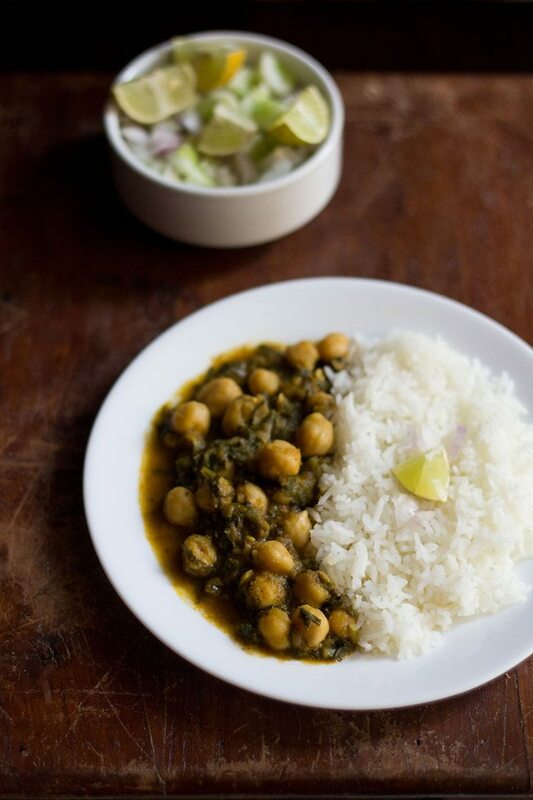 the usal can have a curry consistency or be semi dry or dry. 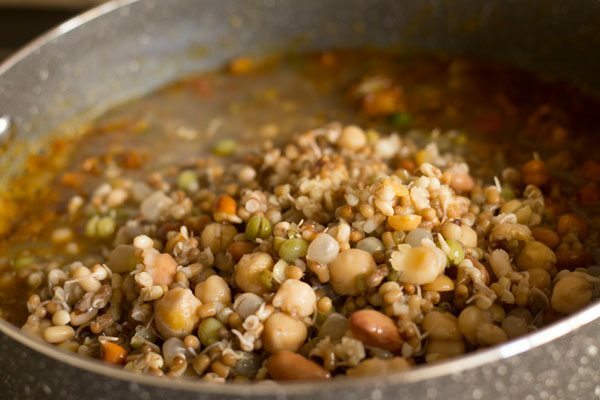 usually usal is made from sprouted beans like moth beans, moong beans or mixed beans. 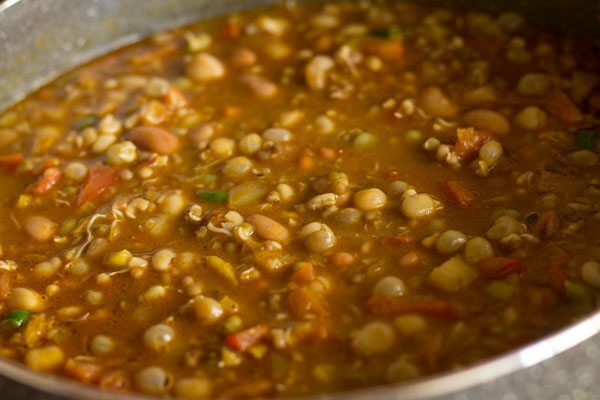 usal can also be made from black eyed beans or black chana or green peas. 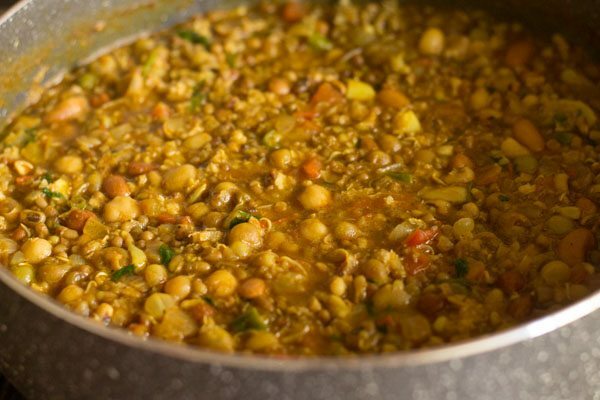 the usal recipe i am sharing here is prepared from mixed sprouts. 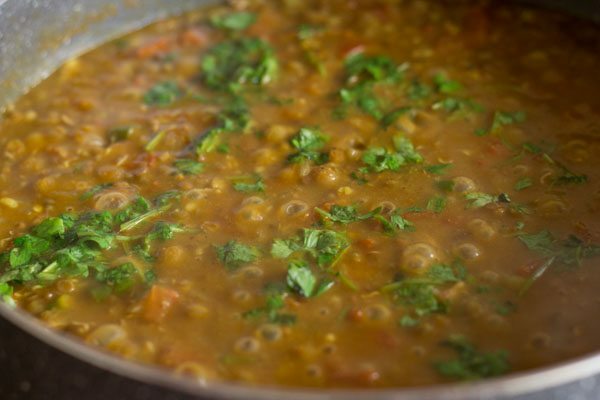 this is my family recipe of a quick usal and does not take much time. she does use goda masala powder to make the usal. there is no substitute to goda masala powder, but if you do not have it, then you can add garam masala powder. however, with garam masala powder the taste will be different. 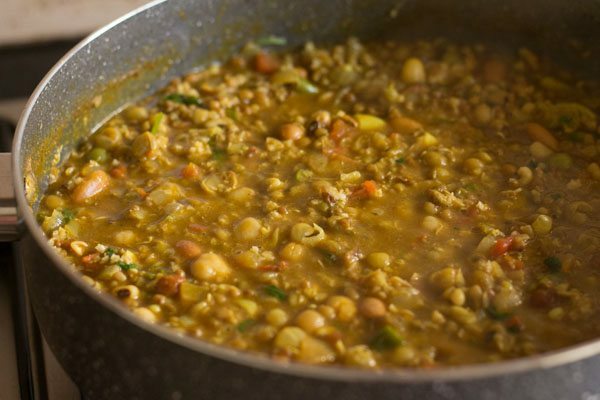 this mixed sprouts usal has a good balance of spicy and tangy taste. you can either make the sprouts at home or buy from outside. 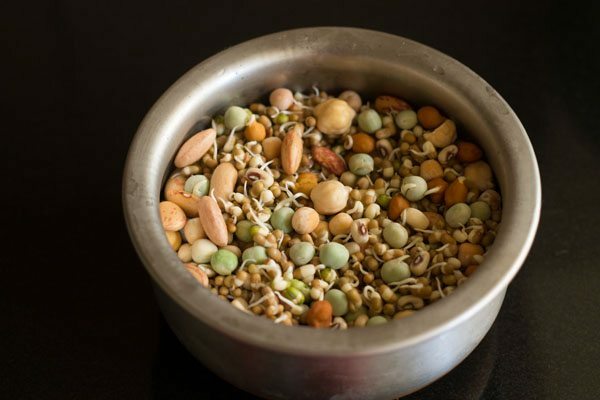 to make the sprouts, i usually use all the beans in equal amounts like matki (moth beans), moong (mung beans), chawli (black eyed beans), rajma (kidney beans), chana (white chickpeas), whole masoor (pink lentils) and brown chana (brown chickpeas). 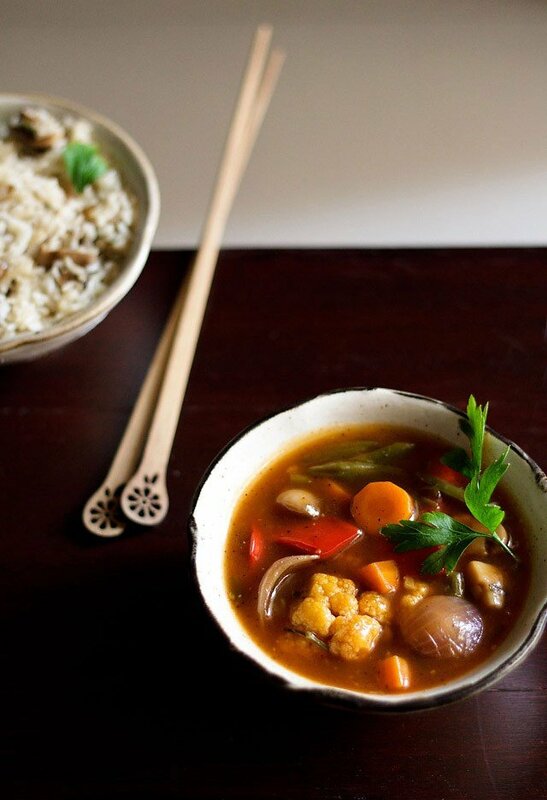 you can even just make this usal with moong bean sprouts or moth bean sprouts or dried white or green peas. or you can use your choice of mixed beans. usal goes very well with chapatis, bread rolls (pav) and even steamed rice. if you plan to serve with pav, then its better if you make them at home. usually for all the recipes that need pav, i make pav a previous day before. homemade pav are much much better than store brought ones. 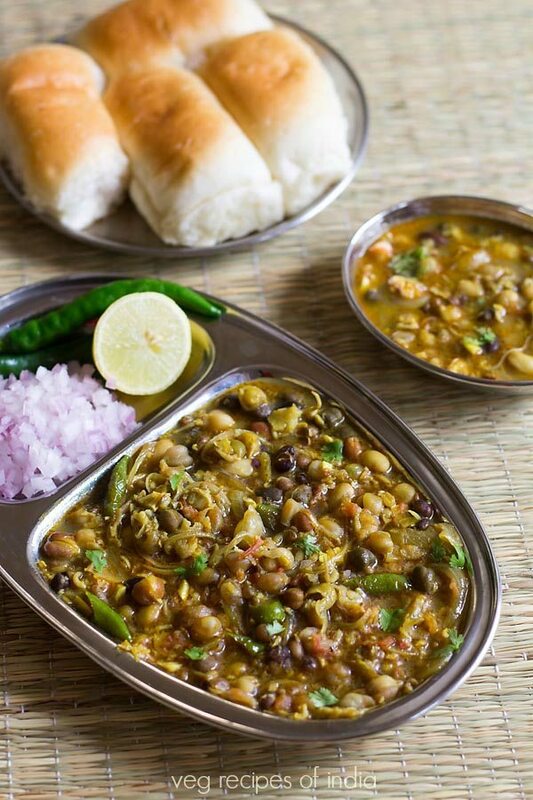 for pav recipe, you can check this mumbai ladi pav recipe or this bombay pav recipe. 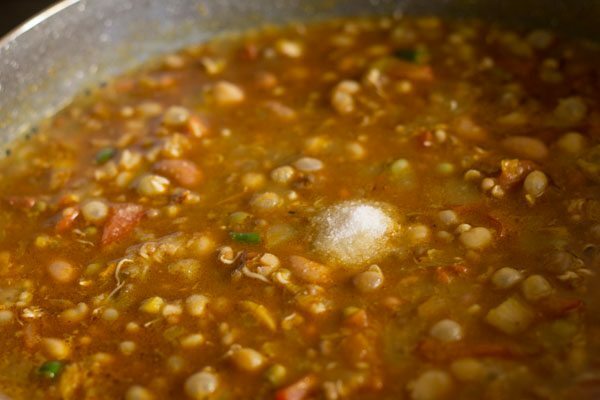 usal can be served as a breakfast, brunch or even lunch. if you are looking for similar recipes then do check vada pav, misal pav, pav bhaji, masala pav and mixed sprouts curry recipe. take 200 gm of mixed sprouts in a bowl or pan. then rinse the sprouts very well. you can also use a fine strainer to rinse the sprouts. add the rinsed sprouts in the pressure cooker along with 2 cups of water. on a medium flame, pressure cook the sprouts for 3 to 4 whistles or 6 to 7 minutes or till they are cooked completely. 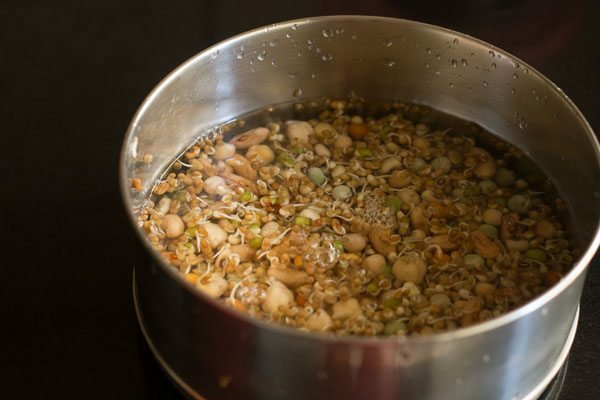 if you do not have a pressure cooker, then cook the sprouts in a pan with enough water. cooking sprouts in a pan will take a longer time to cook. 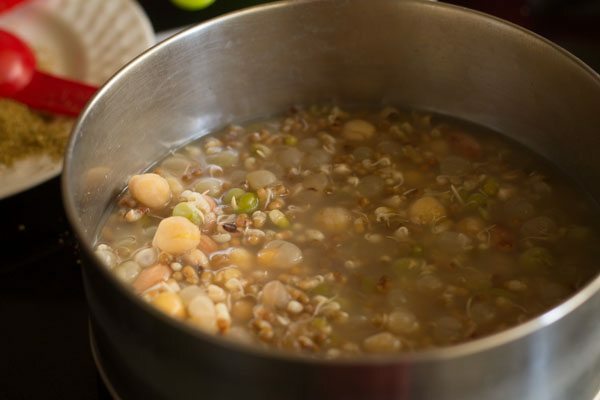 once sprouts are cooked reserve the stock for the usal. heat 1.5 tablespoon of oil in a pan. add sliced garlic and saute for a minute on a low flame. next add chopped onions and saute on low flame, till they become translucent. then add chopped tomatoes and chopped green chilies. 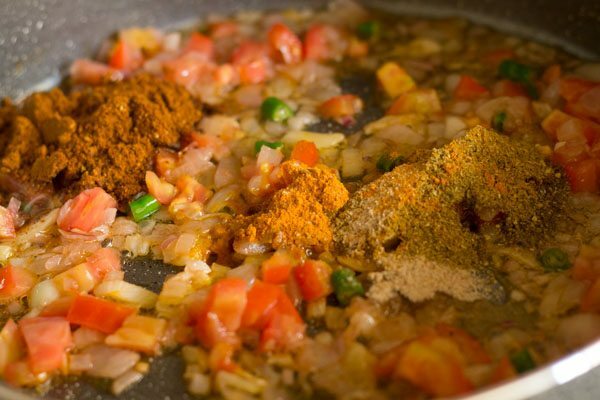 also add turmeric powder, coriander powder, goda masala and a generous pinch of asafoetida. if you don't have goda masala then add garam masala powder. 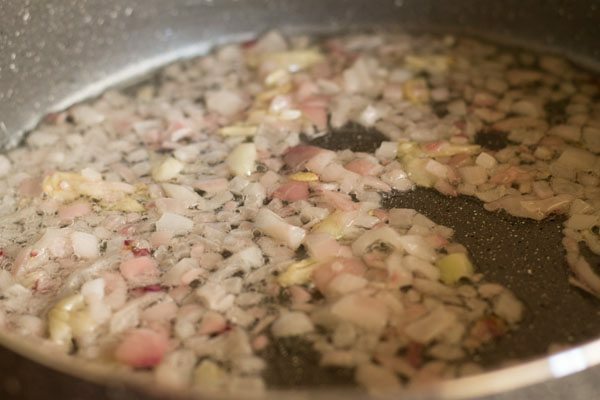 mix the spices very well with the onion-tomato mixture on a low flame. then add the boiled sprouts along with the stock. mix very well. now pour 1 cup water. simmer usal for 4 to 5 mins on low flame till it bubbles. then add 1 tablespoon of chopped coriander leaves. cover and cook for a minute on a low flame. remove the lid, add 1/4 cup of fresh grated coconut and mix well. stir well and simmer for 1 to 2 minutes more. by now the usal will start thickening. then switch off the gas. 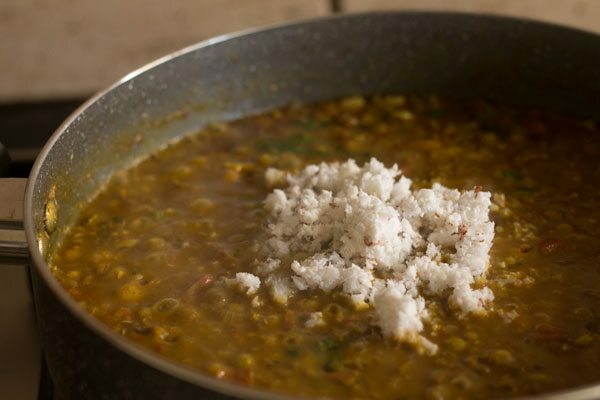 while serving, sprinkle usal with 1 tablespoon of chopped onion and some lime wedges. 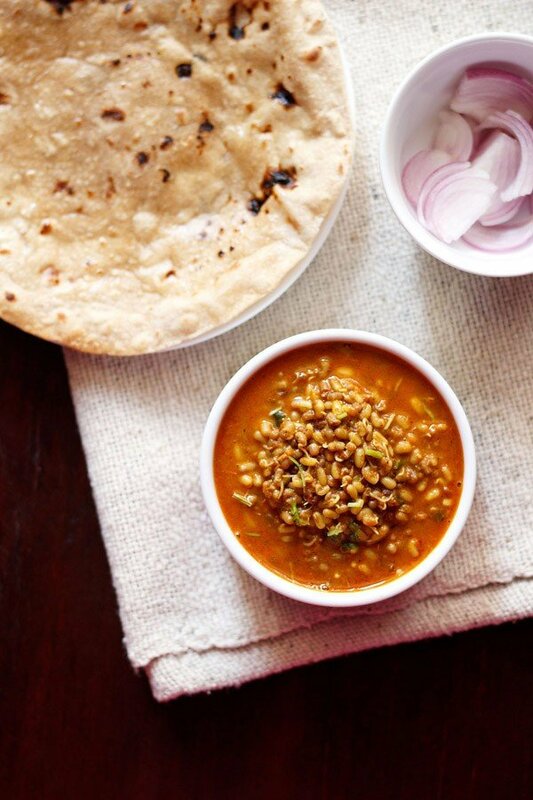 serve mix sprouts usal with pav or roti. spices can be added less or more as per your requirements. 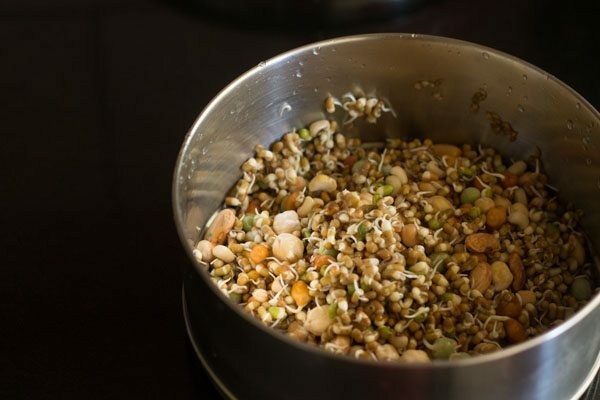 1. take 200 grams of mixed sprouts in a small pan or bowl – about 1.5 cups of mixed sprouts. 2. take the sprouts in a pan and then rinse the sprouts very well. 3. add 1.5 cups water in the pan containing sprouts and add 1.5 cups water in the pressure cooker. 4. place the pan with sprouts + water in the pressure cooker. pressure cook on medium flame for 6 to 7 minutes or 3 to 4 whistles or till the sprouts are cooked completely. 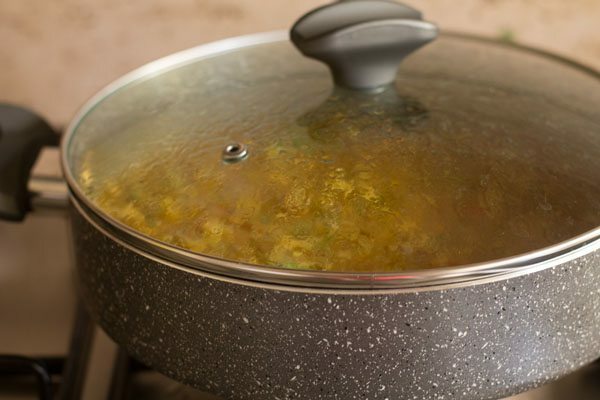 if you do not have a pressure cooker, then cook the sprouts in a pot or pan with enough water. cooking sprouts in a pan will take a longer time to cook. once sprouts are cooked reserve the stock for the usal curry. you can also pressure cook the sprouts directly in the cooker. if doing this method, then add 2 cups water in the cooker. 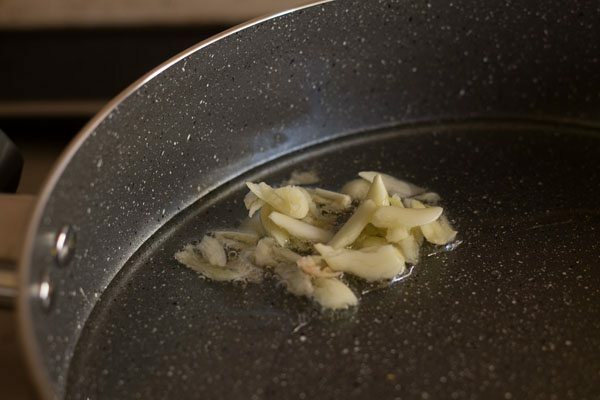 5. add 1.5 tablespoons of oil in a hot pan. you can use peanut oil or sunflower oil. add 7 to 8 small garlic sliced lengthwise. 6. saute for a minute on low flame. 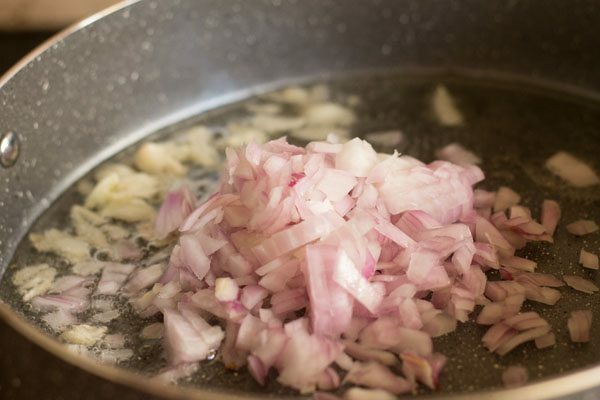 7. then add ½ cup of chopped onions. 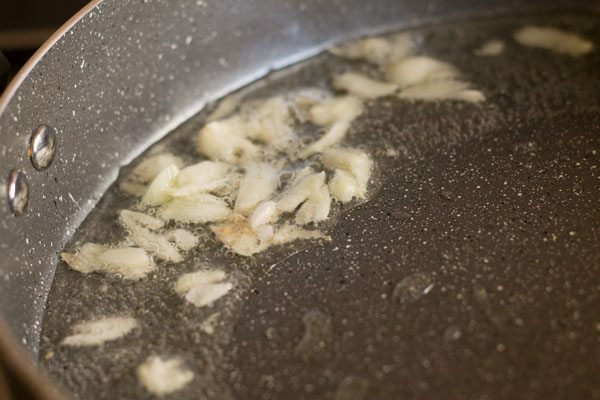 8. stir and saute onions on a low flame, till they become translucent. 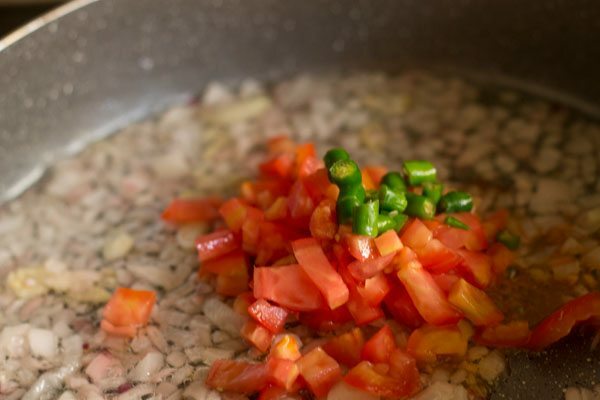 9. then add ¼ cup chopped tomatoes and 1 teaspoon finely chopped green chilies. 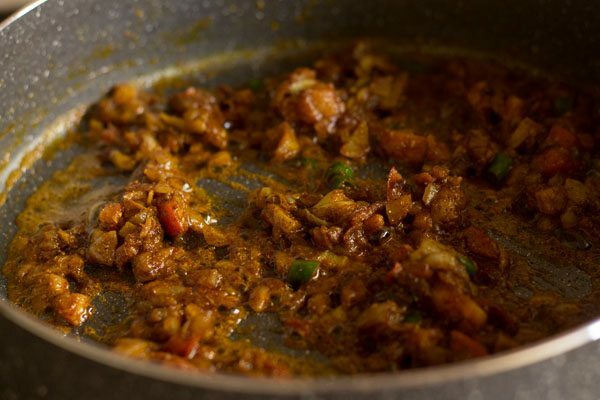 10. add one teaspoon coriander powder, 1.5 teaspoons goda masala and a generous pinch of asafoetida. instead of goda masala, you can add 1 teaspoon garam masala powder. 11. mix all the spices very well on a low flame. 12. add the boiled sprouts along with the stock. mix well. 13. also add more water if required. i added 1 cup of water. 15. simmer for 4 to 5 mins on a low flame. 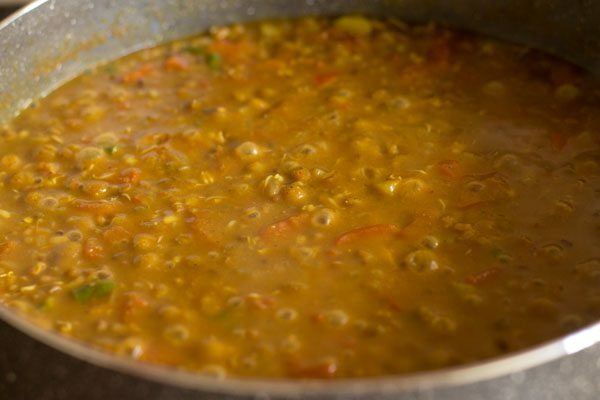 the usal will start bubbling and the curry will also thicken. 16. then add 1 tablespoon chopped coriander leaves. 17. cover and cook for a minute on low flame. 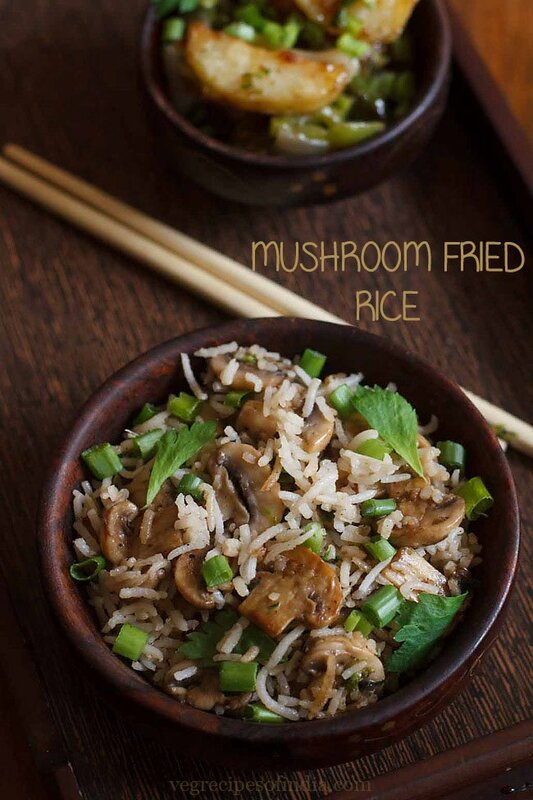 18. remove the lid and add ¼ cup fresh grated coconut. 19. stir well and simmer for 1 to 2 minutes more. 20. the usal will have thickened more. now switch off the flame. 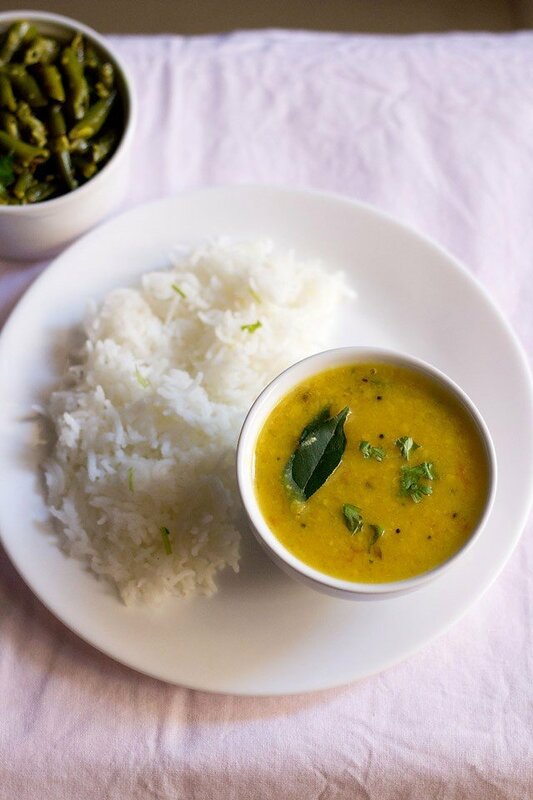 21. serve mixed sprouts usal hot with pav, chapatis, bread or steamed rice. or you can top the usal with 1 to 2 tablespoon of mixed farsaan, 1 tablespoon of chopped onions and some lime wedges to make a misal. then serve the misal with pav. we are adding the nutrition facts gradually in all recipes. fine arpita. mostly the instructions are for a regular oven or OTG. if using a conviction oven, then do bake at 15 to 20 degrees less temp than what is mentioned in the recipe. this is because convection ovens bake faster than a regular oven. either the baking temp can be reduced or the baking time can be reduce. hope this helps. i did not get your query arpita. are you talking about any specific recipes or general recipes. usually a moderately high temperature is used for baking cakes. let me know in detail about the recipes or recipes you are referring too. Nice recipe!!! It turned out good… Thank You..
welcome neha, thanks for positive views. wish you all the best in your culinary skills. 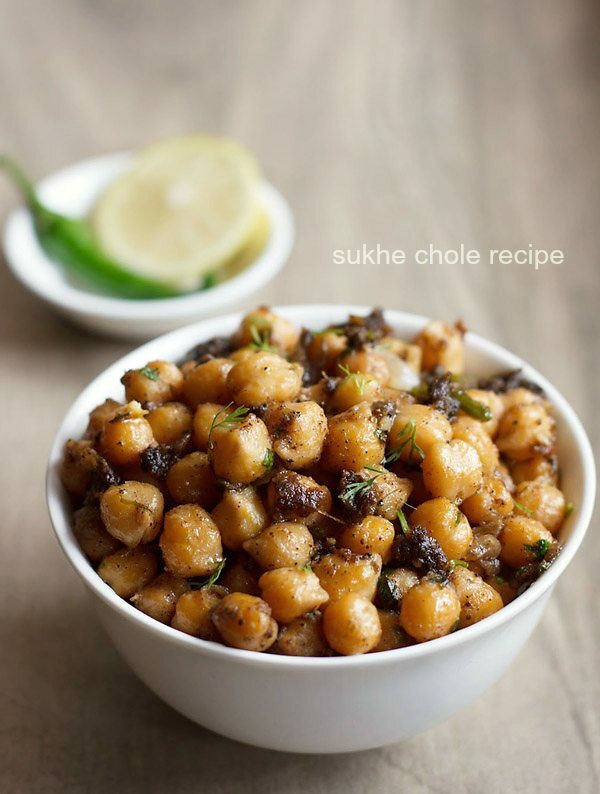 This is so delicious, my husband grew up in Mumbai and talks fondly about this dish, will try and make it soon. Thanks so much! welcome mala. thanks and i hope you guys like the usal recipe. I love ur app. all ur recipes are great. can u pls help me with one doubt? do we have to soak these mixed sprouts overnight before cooking? thanks. mixed sprouts need not be soaked. after the beans are sprouted, then you can use them directly. if buying mixed sprouts from outside, then just use them directly.